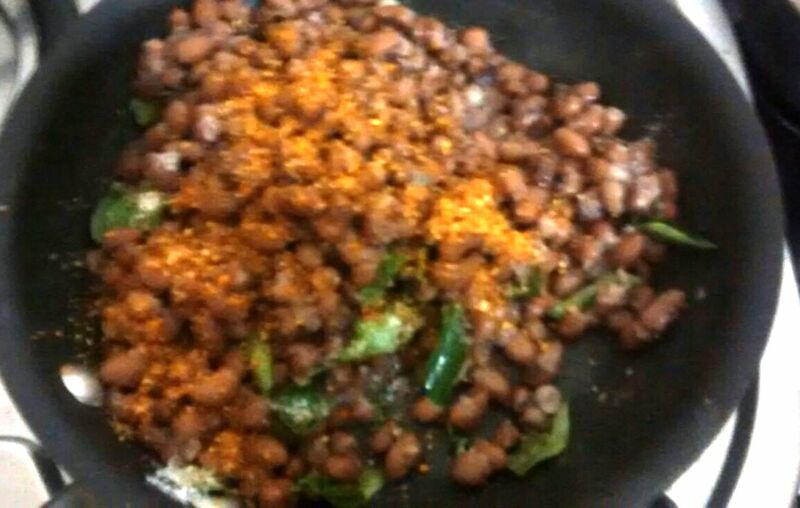 Here's a version of sundal with no coconut. 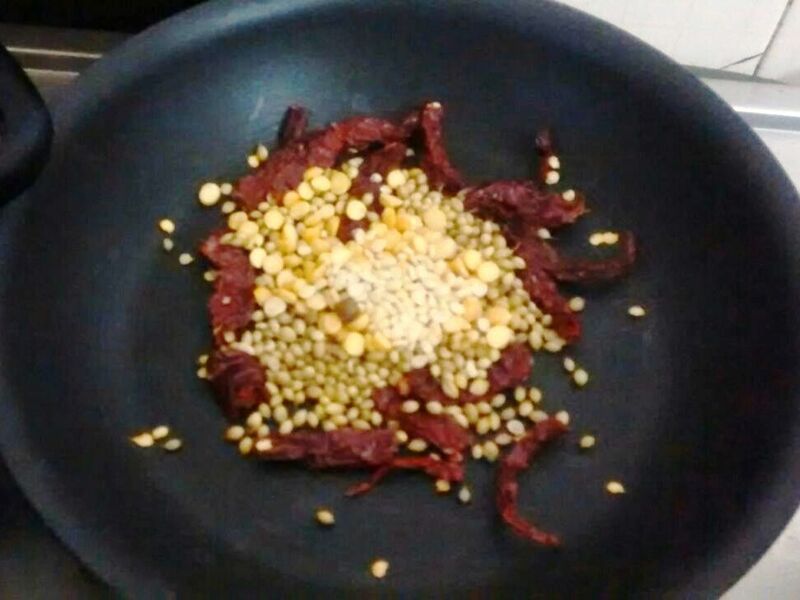 Delight your health conscious friends with this sundal for the upcoming pooja. Pressure cook Karamani for 3 whistles. Keep aside. Dry roast ingredients mentioned under “for the powder” till it turns brown. Grind to a coarse powder in a mixer. Heat oil in a pan, add mustard seeds. When it splutters, add curry leaves, boiled Karamani, a teaspoon of the powder and mix well. Serve hot or pack for snack box.